Courtesy of Big Hassle Publicity. If you’ve ever seen Edward Sharpe and the Magnetic Zeros perform, you might already have an idea of what it was like to interview singer Jade Castrinos. Her answers sound as if she’s thinking them for the first time, strung together to the point that they don’t really seem like sentences at all. But, not unlike the very lyrics she helps write, they convey a feeling of something close to a memory, saying so much with so little. I welcomed a chance for Jade to open up about herself and the band, beyond simply the songs they sing. I spoke to her over the phone as they geared up for their first major tour, on which Santa Cruz is the second stop. By the end of our conversation, the only thing Jade seemed sure about was that she was very excited about the trees. As for me, I knew that Jade’s eccentricity could only be described as magnetic. CHP: And how would you categorize that music? The term ‘folk’ has been thrown around — does that fit your music and your group? 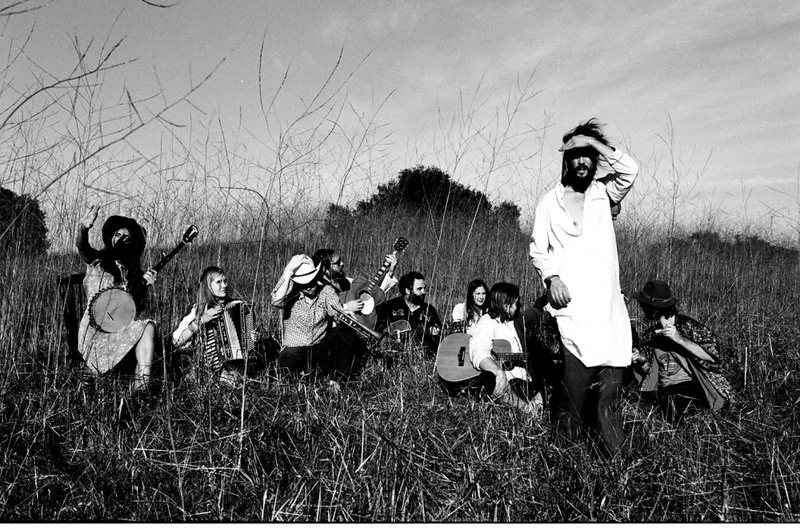 What does ‘folk’ mean in terms of Edward Sharpe and the Magnetic Zeros? JC: Oh yeah, yeah, he might be the best person to ask about this, but [the novel] is definitely, like, reflected in our songs and the videos we’re doing. CHP: So last question, then I’ll let you go. Your kind of hippie-throwback vibe definitely has an audience in the students of UC Santa Cruz. Are you guys excited to play here, or do you have any expectations about the show?